For centuries, the port of [Aden][w] has served as Yemen’s gateway to the the world. Its distinctive double harbour lies in the crater of an extinct volcano. 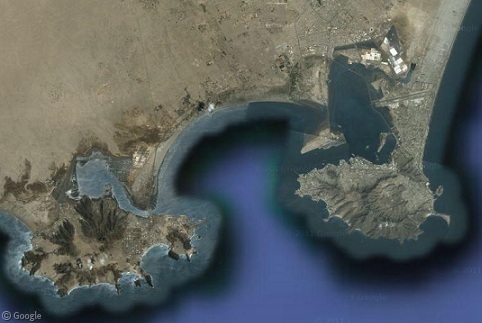 Over the years, a number of wrecked ships have accumulated in Aden’s harbour, many of which are visible in Google Maps imagery.